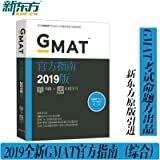 5.0 颗星，最多 5 颗星Excellent source of official GMAT practice questions, ordered by topic and difficulty. Look elsewhere for learning & strategy. I'm a Harvard grad, 99% GMAT scorer and professional GMAT tutor since 2002. 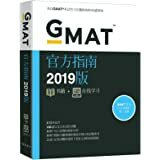 The GMAT Official Guide 2019 (currently $38) receives my strong recommendation because it provides a great source of 958 real GMAT questions at a decent price. 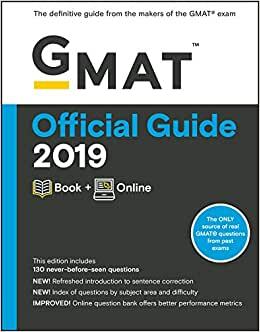 This newest edition of the GMAT Official Guide (OG) is still the gold standard for realistic GMAT practice questions. For optimal results, use it in combination with other practice and strategy guides. 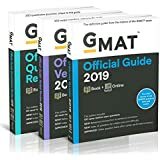 If you think that you need all 3 books at once, then go ahead and buy the OG bundle to save a few dollars on the individual books: GMAT Official Guide 2019 Bundle: Books + Online. However, keep in mind that many students buy the bundle and end up only having the time to use this book, which by itself has 900 questions (the additional 58 Integrated Reasoning questions are accessible only through the companion website, accessible with a code, due to their multimedia nature). NO KINDLE VERSION THIS YEAR: There is also a digital version of the Official Guide, but it can only be purchased on the GMAC website, is NOT Kindle compatible (despite what GMAC claims), and can only be installed on 2 computers at a time. 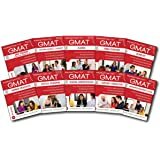 For my full list of personal GMAT prep recommendations, google "GMAT Action Plan." 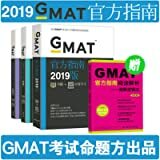 Best of luck on your GMAT and beyond! Just what i expected. fast and in great condition. thank you! Online code doesn't work and the front cover was not in a good state.